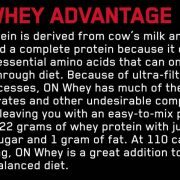 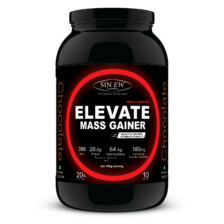 A High Quality Whey Protein derived from cow’s milk and is considered a complete protein because it contains all of the essential amino acids that can only be taken in through diet from the World’s #1 seller of Whey protein. 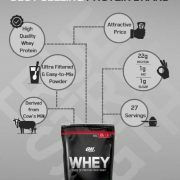 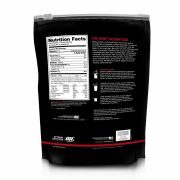 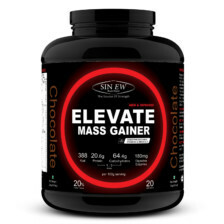 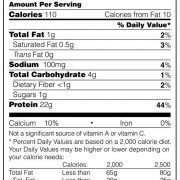 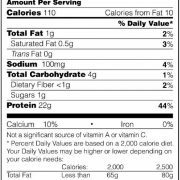 Because of ultra-filtering and other processes, ON Whey has much of the fat, carbohydrates and other undesirable components removed, leaving you with an easy-to-mix powder providing 22 grams of whey protein with just 1 gram of sugar and 1 gram of fat. 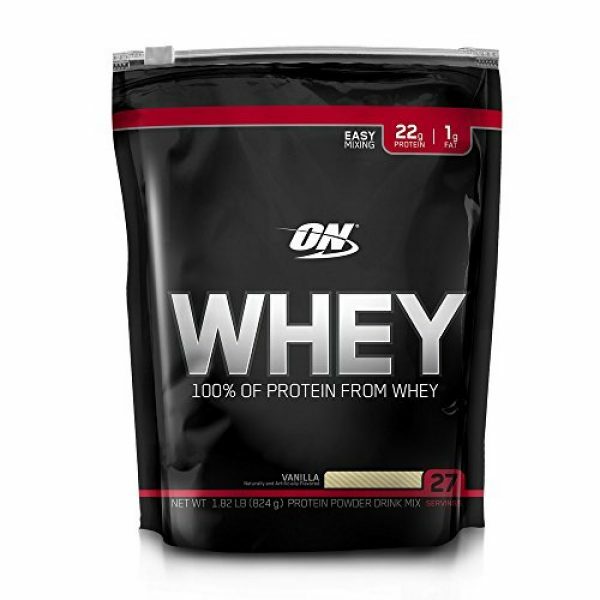 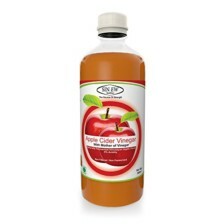 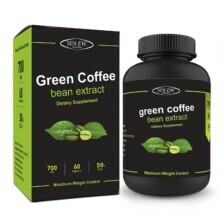 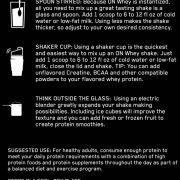 It’s a very good protein if you want to develop muscle of your body in perfect shape. 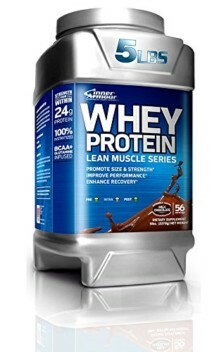 There is no other brand in this price range better then On whey protein. It’s my real experience that if you will do perfect workout and take it immediately as post workout.